Wild and largely unexplored, the Comoros islands largely fly under the tourism radar and only get about 3,000 tourists per year. But that’s a shame, because although it’s one of the tiniest countries in Africa, Comoros has a rich history and is full of exotic plant and animal life and could easily compete with comparable islands like Reunion and Seychelles. 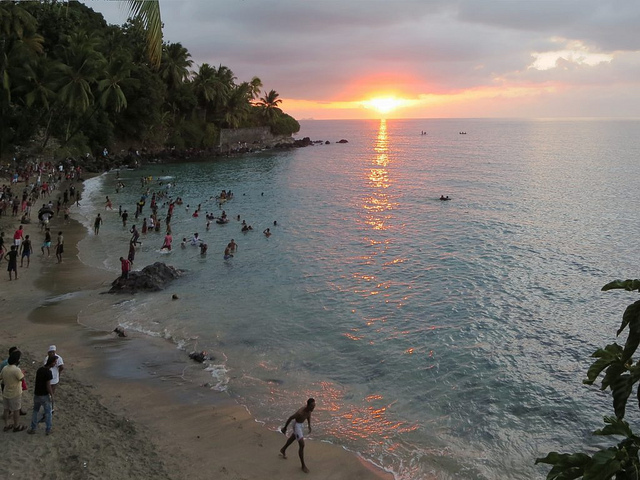 Here are 10 things you didn’t know about Comoros. 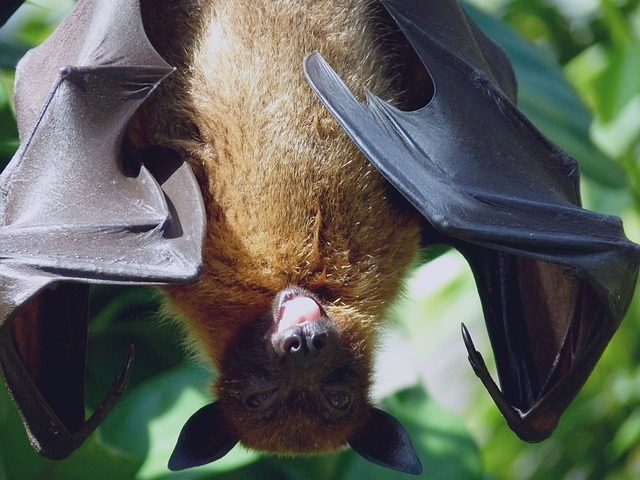 Livingstone’s fruit bats are megabats that are found only in Comoros. They’re also classified as endangered species, with only around 1,000 left in the world. As the highest peak in Comoros, Mount Karthala rises 7,746 feet above the ocean to create a majestic peak and crater. 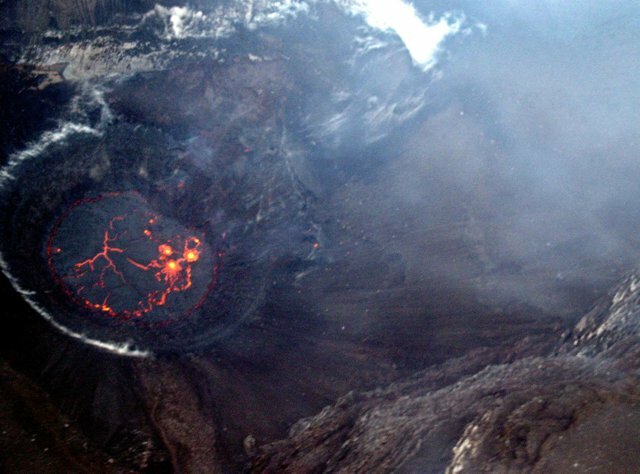 The volcano has erupted more than 20 times since the 19th century with the last two eruptions in 2005 and 2006 respectively. In the 17th century, pirates used Comoros as a jumping off point while traveling the Pirate Round, a sailing route followed by Anglo-American pirates. The Grand Comore wall (pictured above) was built to keep out Malagasy pirates and now protects Ntsaoueni on the northwest coast of Grande Comore from storms. The few tourists who get the opportunity to visit the Comoros will have a great shot at seeing sea turtles. Sea turtles are protected and monitored all year in Itsamia, and visitors can participate in efforts through volunteer opportunities. Madagascar isn’t the only place you can find lemurs in Africa. 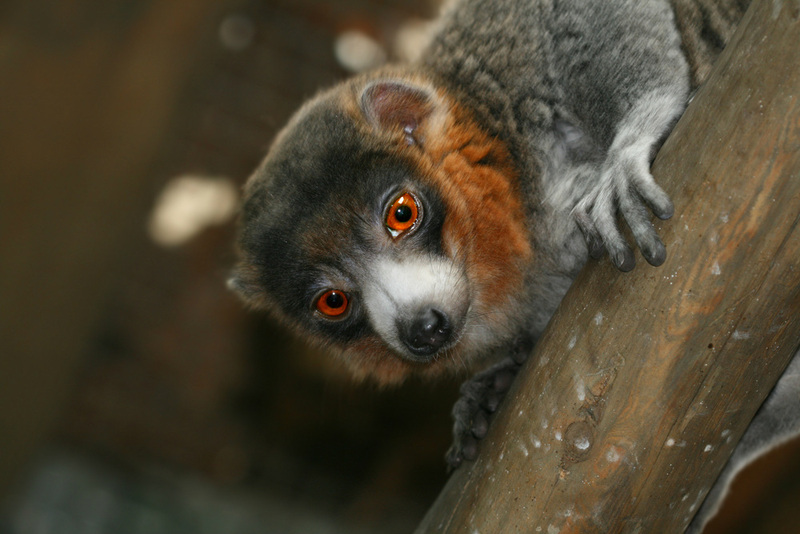 Although they were introduced to the island, Comoros now has a thriving population of lemurs, particularly the Mongoose lemur (pictured above). Comoros has been under Islamic influence since the 16th century. 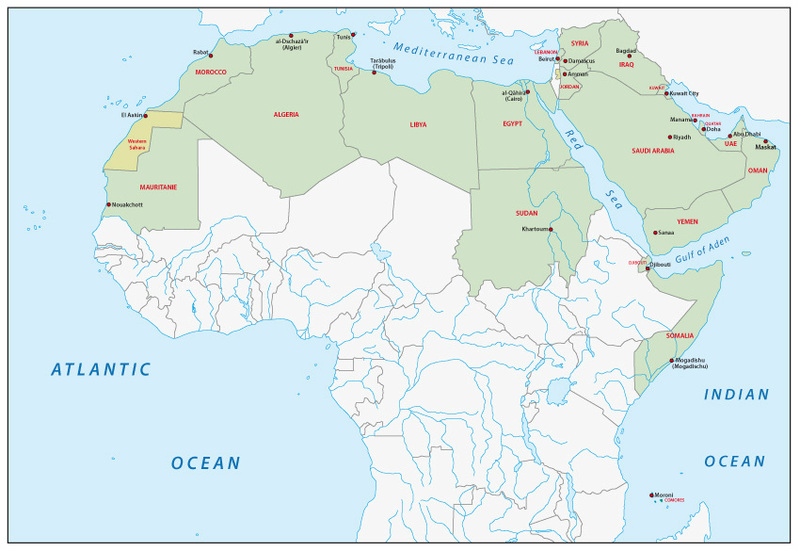 It’s also currently the only country entirely in the southern hemisphere that’s a member of the Arab League, which includes members such as Lebanon and Saudi Arabia. 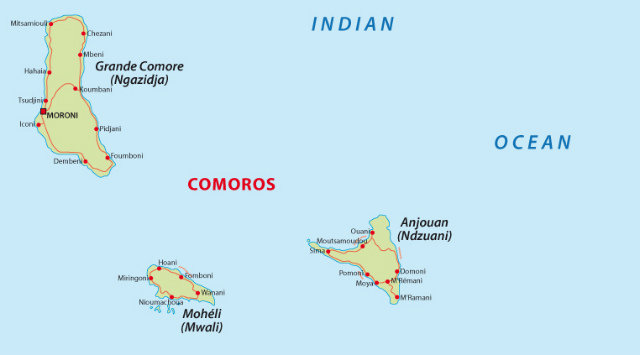 The residents of Comoros speak the Comorian language, related to Swahili, with elements of Arabic and French thrown in. There are also four variants of it, including Shingazidja, Shimwali, Shinzwani and Shimaore that correspond to the four islands. Arabic and French are also widely spoken. The vastness of African countries isn’t always a rule, and Comoros is one of the countries that goes against this. The total area is only 727 square miles, which is smaller than Jacksonville, Florida. 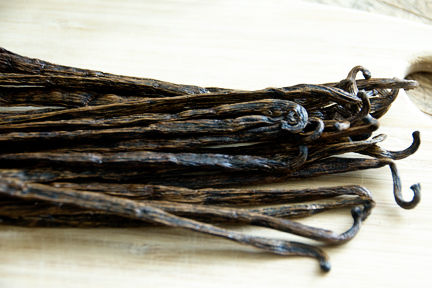 Comoros is the second largest producer of vanilla in the world and is also a huge exporter of ylang-ylang and cloves. Those unfamiliar with ylang-ylang might recognize it as one of the important essences in Chanel No. 5. Visitors can visit the areas where the plants grow and smell the intensity up close. Due to its location off the coast of Africa and hilly landscape, Comoros is extremely vulnerable to cyclones in the region that often wreck havoc on the island causing floods and destroying homes. 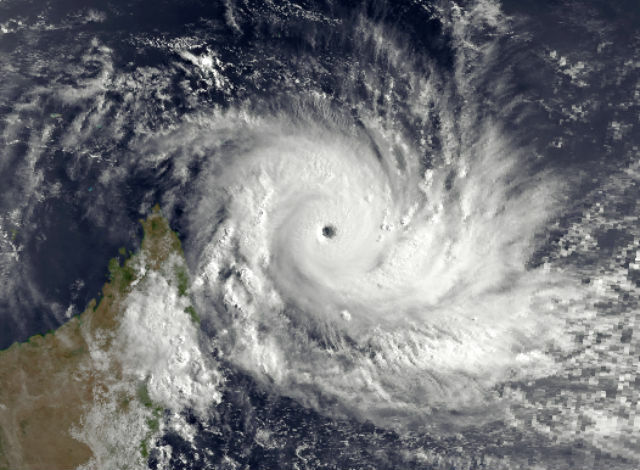 In 1984, Cyclone Kamisy took out the country’s entire banana crop. This article was originally published on July 29, 2015.